Our store is simple, yet very secure. You can make your purchases here directly, but all installation and training will be done by an actual qualified technician online. This option allows you to subscribe Auto Shop Writer on a monthly basis. This button allows for the payment of the initial fee which covers installation, training, and the first month’s rent. You will also want to fill out the subscription agreement form with your company information. Further payments will be processed automatically 5 days prior to the anniversary date. The DPP provides full support and all updates to people on the current version of Auto Shop Writer. Click on the button to pay for 1 ( or more ) Quarter(s) of the DPP subscription fee. The Advantage Database Server provides true client/server functionality to the Auto Shop Writer system. 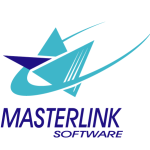 MasterLink Software is a reseller of this product. Each 5 user license allows 5 separate computers to concurrently connect to the server. For 10 licenses, set the quantity to 2, for 15, set it to 3, and for 20, set it to 4.